Traps are an integral part of any waste system and are generally situated on the outlet of an appliance (to which the waste is attached). 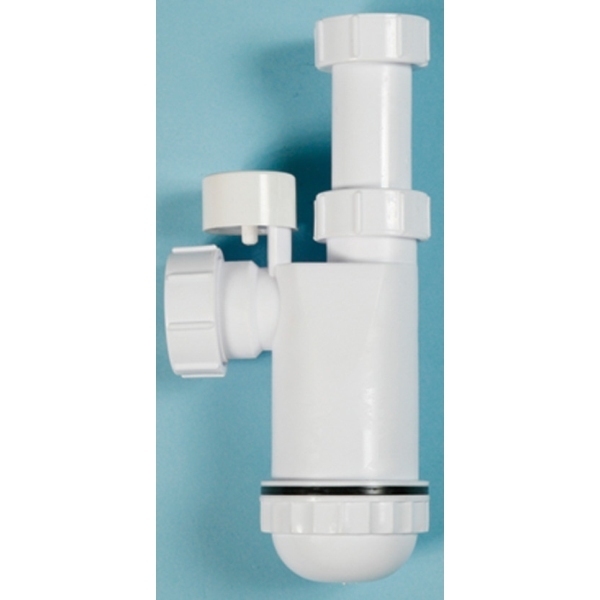 The purpose of a waste trap is to provide a water seal between the waste water pipework and the internal environment of the property, thus stopping any foul air entering the building which would be both hazardous and unpleasant. Bottle Traps have a central vane, or dip tube to form the trap. There is a removable bowl to clear any blockages. This form of trap should only be used on washbasins.